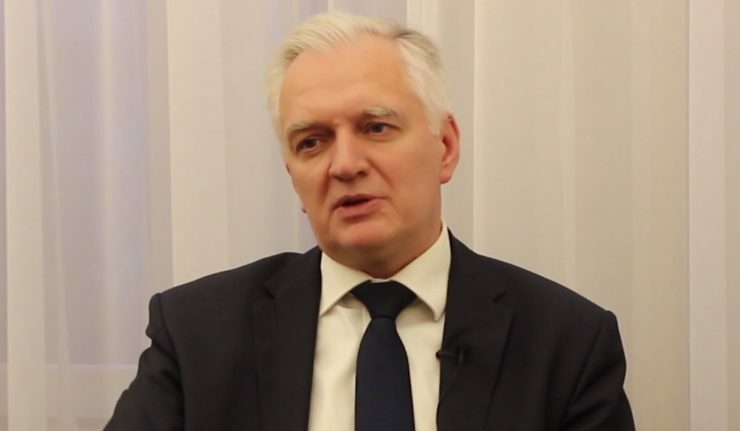 Interview with the Polish Deputy Prime Minister and Minister of Science and Higher Education Jarosław Gowin, former Minister of Justice: “Western Europe, for its part, is still impregnated with biases and misconceptions regarding countries like Poland”. Poland – Jarosław Gowin has been minister of Justice from 2011 to 2013 in Donald Tusk’s government, who is now President of the European Council. Expelled from the Civic Platform (PO) due to his opposition to the Liberal evolution of the party, Jarosław Gowin joined the PiS government of Beata Szydło and has been kept in the new government of Mateusz Morawiecki. As Catholic, he represents well the Polish Centrists opposed to the Brussels-style Liberalism that joined the PO, and who as ardent Europeans are also critical toward the European Union current form. Our questions have been directly ask in Polish by our colleague Karol Gac, from our partner Do Rzeczy. We translated the whole interview – wchich can be seen in Polish, with French subtitles here – to English. Karol Gac: Mr Prime Minister, we see ourselves in exceptional circumstances, just before the celebration of the recovered Independence. This is a special moment for the Poles. I would like to ask you what independence meanss today for Poland and for the Poles in the context of the European Commission’s ever-widening powers, of this EU effort to create a federal super-state. What means independence today, and what meant it before? Jarosław Gowin: The current sovereignty in the EU is of course different. I would say it’s sort of a transactional sovereignty. We have freely, by joining the EU, renounced, for the benefit of the entire community, to be the only ones competent for a wide range of issues. The transactional side of this new sovereignty formula is that at the same time we have gained influence over the affairs of other EU countries. The Poles were, are and – I am sure – will remain overwhelmingly in favor of European integration because we are at the heart of Europe. Our geopolitical situation is as it is. On the other side of our eastern border, there is a war in Ukraine. Our neighbor is the victim of a brutal aggression. On the other hand, we are aware that the benefits we derive from the EU outweigh the costs. These costs are not insignificant. However, when we vote in favor of Poland’s participation in the European integration process, we consider that we must stick to the original concept of this integration. I say that as a Pole, but also as a member of this government. The European Union must be a Europe of sovereign homelands, even if this sovereignty is not complete. Those who dream of a European federation are actually harming the integration. I am convinced that not only the Poles, not only the citizens of the new EU countries, but also those of the old EU will reject this utopia of a European super-state. Karol Gac: You’re speak about going back to the origins of European integration. Initially, one of the pillars for the founding fathers was religion. It was Christianity. Europe relied on Christianity. Two years ago, at the Krynica Economic Forum, Jarosław Kaczyński and Viktor Orbán said that Europe needed a cultural counter-revolution, a conservative revolution. What remains of this Christianity, of this conservatism in Europe? Do you think it is still possible to make such a counter-revolution? Are the processes of secularization and liberalization not too advanced? Is not Poland one of the last strongholds, even in Central Europe? 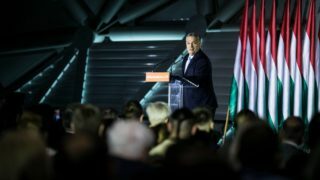 Jarosław Gowin: When Jarosław Kaczyński and Viktor Orbán formulated this thesis two years ago, it has been widely commented on as an anachronism. Today, I would rather say that it was a prophetic diagnosis. Europe, and not only the EU, will only continue by building on the foundation of Christianity. I do not speak here only of Christianity as a living faith, but also as a cultural heritage. Whether we like it or not, we Europeans are Christians in the cultural sense. 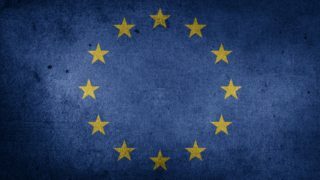 I think that a growing number of Europeans are beginning to be aware of it – often through tragic circumstances, unfortunately, as a result of this great transformational process of our civilization that is the arrival in Europe of successive waves of immigrants from cultures that are far removed from our values. That is why I do not see the future of Europe with the pessimism inherent in your question. Indeed, Poland is a country where the Christian heritage is relatively alive, even if we would also have many reproaches to address to ourselves. But I see more and more symptoms of such a rebirth of the consciousness of our Christian roots, at least in the cultural sense. See Italy, Bavaria, Austria, and more and more often in other countries: important political leaders – heads of government, ministers, a Bavarian state president – declare that we must return to our Christian roots, that the cross must reappear in public space, that we can welcome newcomers to Europe only if they profess and respect the constitutive values ​​of Europe. Karol Gac: This shows that it is Poland, it is Prime Ministers Szydło and Morawiecki who were right on the welcoming of immigrants. Our partners in the EU understood this after the fact. As the European Parliament elections get closer, the political wind seems to be blowing further to the right. This is visible in Italy and Austria, but not only. In France too, we have this impression. Do you think in these conditions that our partners in the EU will reach out to us? Will they show more understanding? I have the impression that Poland and the countries of Central and Eastern Europe are being treated with disdain by some political leaders in the countries of Western Europe. Is it possible to build a new European Union together? We talk so much about the need to reform the EU, but the recipes remain the same: always more integration. Even the revealing Brexit has not brought the EU leaders to their senses. Jarosław Gowin: It is a fact that the reactions to the Brexit by the European leaders and especially the Brussels bureaucrats are distressing, even more than the Brexit itself. They seem to have come to no conclusion, that they have not wondered what, in the current EU, has pushed more than half of the British people to reject this project. In Europe the balance shifted a little further to the right. This is an evolution that does not cause a major change for the moment. The two largest families in the European Parliament – the Christian Democrats and the Socialists – will certainly remain in the majority. I am also aware that there are different shades of right in Western Europe. We, Poles, pay close attention to the attitude of these right-wing parties in Germany, France or Italy in relation to what Vladimir Putin’s Russia is doing. This evolution on the right is not a homogeneous process. It is necessary to observe this carefully and adapt the tools of Polish diplomacy to the situation. I believe that we should not lose contact with the European mainstream, that is, the Christian Democratic parties. It is true that, from my point of view, these parties are Christian Democrats only in name. Karol Gac: Speaking about this mainstream: Is not the problem that it does not understand Poland and Central Europe? Is it the mainstream that refuses to try understand the Poles? 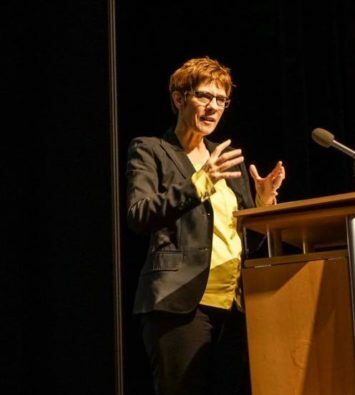 I remember when, a few months ago at a gathering of Polish emigres, Senator Anna Maria Anders complained that Poland does not know how to create a positive image of herself, that she is still on the defensive. Should we therefore see some bad will in the European politico-mediatic mainstream? Or is it simply laziness on their part? Jarosław Gowin: The causes are to be found in all the fields you mentioned, including in this difficult area, which is problematic for us: our inability to present ourselves adequately. I am aware that our government too, if only for the sake of justice reform, stumbles over this inability to articulate convincingly why we are trying to change the Polish judicial system. Western Europe, for its part, is still imbued with prejudices and misconceptions about countries like Poland, Lithuania, Latvia, Hungary or Slovakia. The Czech Republic may be less concerned. Take for example the thesis of Polish anti-Semitism. 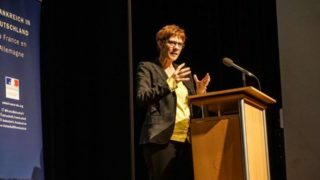 In support of this thesis, it is argued that during the Independence March, some antisemitic slogans or inscriptions were seen or heard in previous years. It is something that is quite at the margins of this march. But still, this type of stupid or irresponsible behavior, or even provocation, finds a breeding ground in Western Europe. And then there are of course the conscious actions of Western European political leaders, which must not be neglected. The European Union is not a club of gentlemen where one would gladly give up the place. The EU is a place of peaceful but very harsh confrontation of diverging interests. To tell you the truth, I believe that there are important political leaders in the EU structures and in the different Member States for whom it is convenient to see Poland ostracized. Our government must act consistently. On the one hand, we must defend national interests. On the other hand – and we have a lot more to do in this respect – we must act by being efficient and by not unnecessarily alienating those who, in the west of Europe, may be friends of Poland. Karol Gac: Yet, with regard to the rule of law issues, the Polish government gives many explanations to its EU partners. You mentioned at the moment the bad will of some European political leaders. Are they not inspired by their Polish colleagues, by the Polish opposition that uses its contacts in the European Parliament and elsewhere, including in the associations of judges, to amplify the problem? They ensure that Poland is always at the center of attention in the EU, put in a negative context. This is true for the rule of law issue, but I have the impression that the same mechanism worked for the past year Independence March and for other events of this type. Jarosław Gowin: You are unfortunately right. It is a bitter truth that characterizes us, Poles. A certain powerlessness of the opposition to our program, to our successes, often turns into a kind of self-aggression against Poland. Because without exaggerating the scope of our successes, they are numerous and we won four elections in a row. When leaders of opposition parties go to Brussels, Berlin or Paris and attack our government, it is not neutral for Poland. This type of criticism, whether wanted or not, has a negative impact on the way Poland is perceived abroad. Karol Gac: Do you still think there is a chance that we can celebrate together this centenary of the recovered Independence, that we can unite? Or are political divisions, perhaps even social ones, already too deep? It seemed to me that the whole political class realized that this was an exceptional year, but the closer November 11th was, the more the divisions grew worse. Is unity still possible? Where do these divisions come from? Is it just a problem of political ambitions, of the opposition’s desire to come back to power? Or is the whole political class responsible? We hear more often that if we had had such a political class a hundred years ago, we would not have recovered our independence. This is a very bitter statement. What do you think? 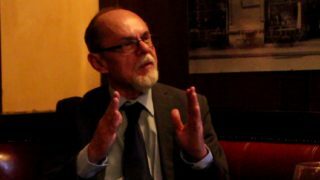 Jarosław Gowin: We are almost on the eve of November 11th. When our interview will be issued, we will know how the ceremonies were held. I am not optimistic. I fear that divisions, primarily political but also social, are now so deep that it is not possible to celebrate the centenary together. It is certain that every politician, every political camp, tends to see the responsibilities only in the other camp. But that leads to nothing. With regard to national unity, social ties, everyone must question their own faults. Everyone must ask themselves what their responsibility is in the current situation. Because of her geopolitical situation, Poland must be strong and united from within in order to exist. We must be aware of this reality. 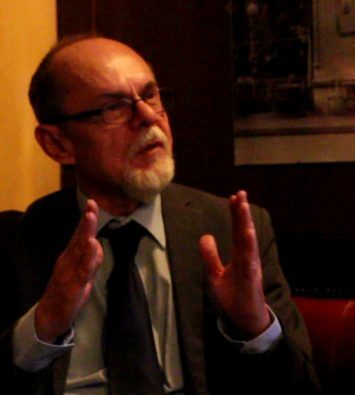 Karol Gac: It is a fact that Poland has a rather difficult geopolitical situation. The question is whether we should turn to the EU or the countries of our region, as with the Three Seas Initiative? Or should we rather rely on the alliance with the United States? Maybe on the contrary, should we create a new version of the EU with Berlin and Paris, or try to integrate the countries of our region? Jarosław Gowin: In many ways, the United States is an unparalleled model for me to follow. But the United States is far away and we are far from the major US interests. Therefore, one should not imagine that Poland will one day become an important element in the strategic, geopolitical plans of the American superpower. That is why I am against any policy that weakens European unity or solidarity. On the other hand, it is another thing to strengthen the bonds within the community of European countries. The idea of the Three Seas Initiative, in the same way as that of the Visegrád Group, seems to me very good and very fruitful. Historically, it is an interesting formula to strengthen the whole Europe. 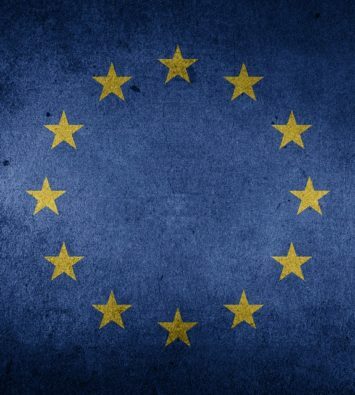 Karol Gac: How do you see the future of the European Union? Does the EU as a political and metapolitical project still have a chance to play an important role? Or will the geopolitical dynamic bring us back to sovereign states, to bilateral relations rather than to a community of independent states? Jarosław Gowin: The disintegration of the European Union, the end of this great historical process of European integration would be a tragedy for the whole of Europe, and not only for Central and Eastern Europe. However, we must clearly define where the threats are. In my opinion, the threats come first and foremost from the excessive bureaucratization of the EU. We must give more freedom to Europeans. More freedom from the regulations, the civil servants, the interventions of Brussels, because otherwise the Europeans will not support these constant interference and these restrictions, and they will reject this project. The second thing is that we must absolutely avoid the utopia of a European super-state. We have already talked about that. Those who pose a real risk to European integration are political leaders, intellectuals and EU officials who would like to put the nation-states on the side. If one tries to destroy the nation states, within a decade or two this brave, historic, visionary European integration project will crumble like a house of cards. 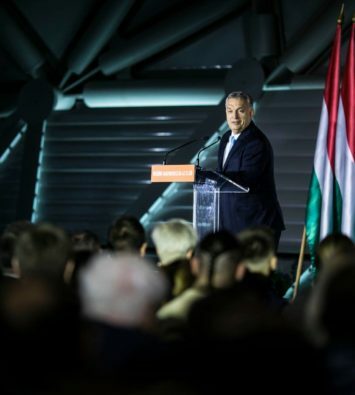 Karol Gac: What would you say to critics who claim that it is Warsaw and Budapest who, through their policies, are destroying the unity of the EU, and that Warsaw is actually targeting a Polexit, that the main threat to the EU today are the Prime Ministers Morawiecki and Orbán? Jarosław Gowin: In my opinion, it’s the opposite. We have made a good diagnosis of the challenges Europe faces and the threats to European integration. We are in favor of a fair approach to European integration, that of the founding fathers: De Gasperi, De Gaulle, Schuman, Adenauer and other great politicians, most of them inspired by the Christian Democrats. To be more precise: Christian and democratic. Democracy must be understood not only as the mode of operation of relations within States, but also concerns relations between States, with notions of solidarity and mutual respect. Karol Gac: Do you think it’s possible to speak the same language with people who commemorate Karl Marx, for example? You said that, as far as we are concerned, we are referring to Adenauer, but I have the impression that the politicians and the current leaders of the EU have their models on the Left, in the revolution of May 68 rather than in the Christian Democracy that you have just mentioned. Is there a possible agreement, common roots? One remembers the disputes over the reference to God in the “European constitution”, scandalized reactions in the countries of Western Europe. Can we still look at the future with optimism? Jarosław Gowin: My son is doing a PhD in philosophy. I am shocked to see how many of his friends – gifted, idealistic, sensitive youths – refer to Marxist philosophy. It looks like they did not understand the lessons of history. This philosophy led to the appearance of one of the two most cruel totalitarian regimes. Communism is an emanation of this philosophy. To speak of Democratic versions of Marxist Socialism is silly. That is why those who refer to this type of ideology on the Left are the enemies not only of European integration, but also of human nature, even if they do not realize it, even if these are friendly and talented young students of philosophy. Karol Gac: Under these conditions, is cooperation possible? Can we still look with optimism at the European project and the EU reform proposals? Jarosław Gowin: I am a conservative. Conservatism is based in particular on a realistic diagnosis of the human condition. As Christians, we both believe in original sin. We believe that human nature is tainted by an inclination to evil. In this sense, no easy optimism is possible among Christians. Christian realism, however, is based on the principle that we must act as if the positive scenario were possible. There is no point in asking if it is possible or impossible. As a politician, I am a man of action. I act as if this positive scenario was possible. Karol Gac: Yet when we look at recent negotiations, as in the rule of law dispute, we are allowed to be pessimistic. It is clear that the desire to find compromises is less present in our EU partners. Jarosław Gowin: That’s my impression, but it’s just one of the battles for the future of Europe, for the future of Poland, for solidarity or lack of solidarity in the EU. I think there will also be situations where negotiations and cooperation within the EU will be better. Karol Gac: Mr Prime Minister, thank you. And how did you think to solve this issue? I say this – there are three camps now in EU 1) the evil (that also includes, unfortunately, V4 countries) – they will never be honest about you, in fact they will use your shame to control you more 2) the opportunists (call them undecided if you want) – no matter how much you try to convince them, there is the risk of losing all this trust capital when they will switch their opinions again 3) the victims, like Scandinavia, Holland, the Baltics, Ireland, Switzerland, UK and few more and they have problems so big they would accept you instantly if you treat them right. You also have more benefits from pushing their model, because it provides stability, by rewarding the countries according to their contributions. In addition, the values of the former coalition, your political enemies, were closest to the first group and now you have a chance to make your values more accepted internally (because this would be the first time when the foreign policy would make sense for the people) and you would never join the first camp, even if you would want – you are both too big and too cultured for that, while they recruit fanatics for which the crime is the only way to become rich and famous, like Cyprus and Malta. In my opinion you should help the third group, but not in an opportunistic way, because you saw already that those from the first group own this game. And keep the romanian Duda away from this, also!